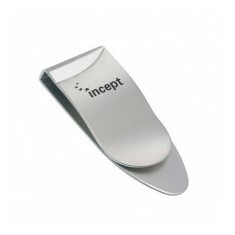 If you’re not looking to take out a bulky wallet, try out one of our promotional Money Clips instead. Designed to keep your notes and cards in place neatly whilst out and about. 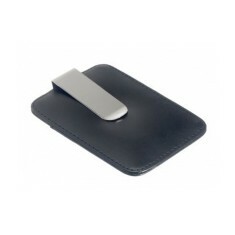 Our carefully selected range of branded money clips has everything from sleek and simple to high quality leather backing to suit your preference. Customised money clips are an elegant and compact way to keep all your cards and notes with you without having to take out a bulky wallet so you can just slip one into your top pocket. 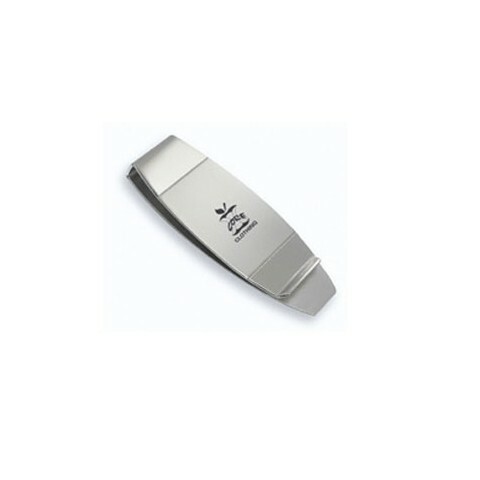 All of our personalised money clips are branded via laser engraving to ensure you achieve a high quality and permanent design. One of our favourite from this range is the personalised Garda Money Clip which has a two tone finish and is laser engraved for a durable design. This clip is UK stocked for a quick turnaround and works perfectly at keeping both your notes and cards in place. All of our range can be customised with your design via laser engraving so you have a durable and high class finish for these executive gifts. Want to check what your design would look like when branded? Give our sales team a call and we can draw up free of charge visuals for you. 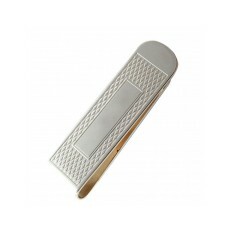 Handy money clip engraved to give a smart durable finish! 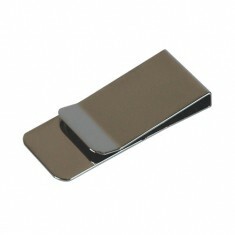 Two tone nickel fin..
Polished silver finish supplied in gift box. Advert laser engraved. Keep your cash and cards together with our customised Money Clip and Card Hold..